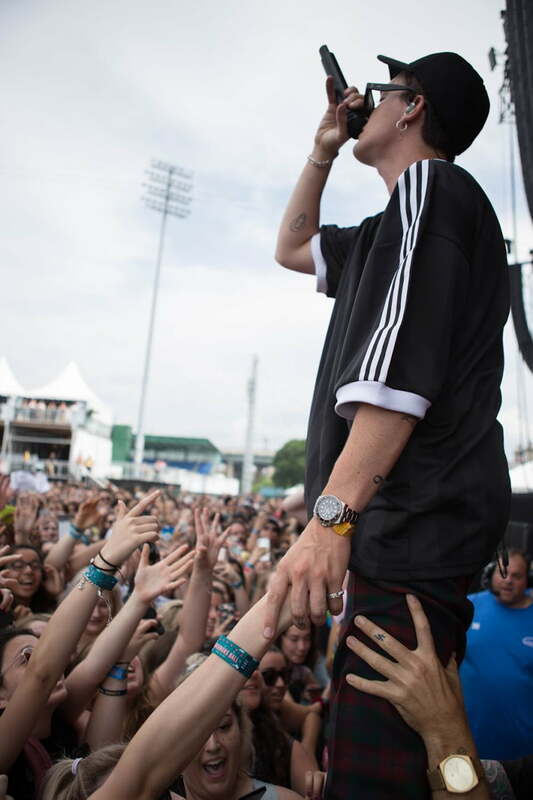 Almost no one knew who the members of LANY were until they wanted the world to know. 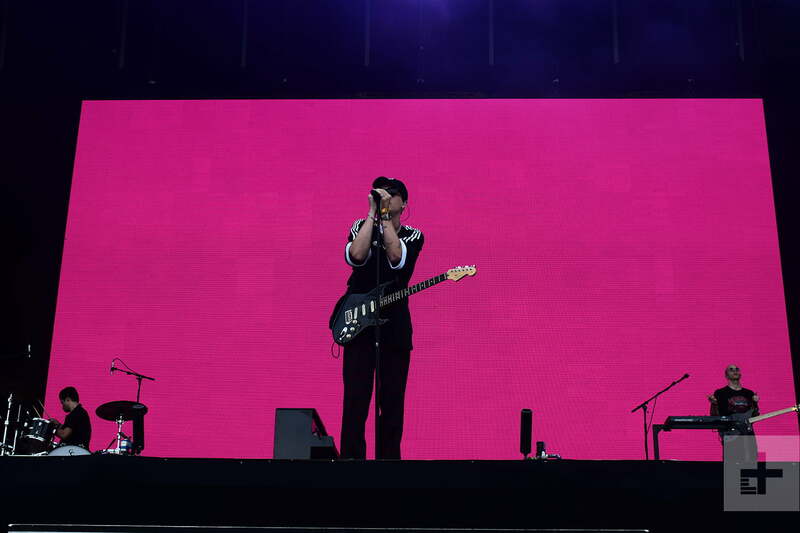 Years before fans were losing their minds at the mere sight of the indie-pop trio on stage, the band’s first two songs were uploaded to a SoundCloud page with no followers, and no band photo. LANY wanted to succeed or fail only on the music, standing apart from the social media-driven music industry they exist in today. Yet, six days after they posted their songs, solely on the strength of those streams, record labels were blowing up their inbox and clamoring for more from the band with no face. LANY’s self-titled debut album is now a Top 50 Billboard hit. 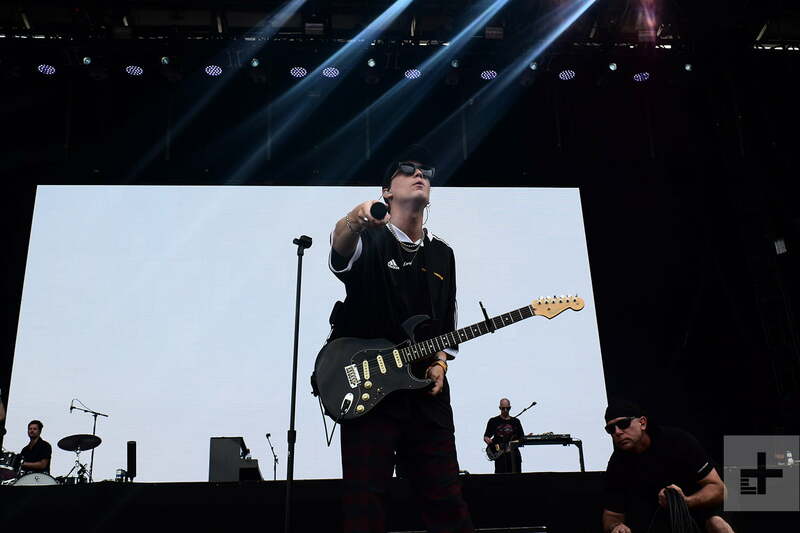 The lives of the band’s multi-instrumentalists Paul Klein, Jake Goss, and Les Priest all changed thanks to streaming, but they don’t necessarily think they need Spotify playlists to succeed. 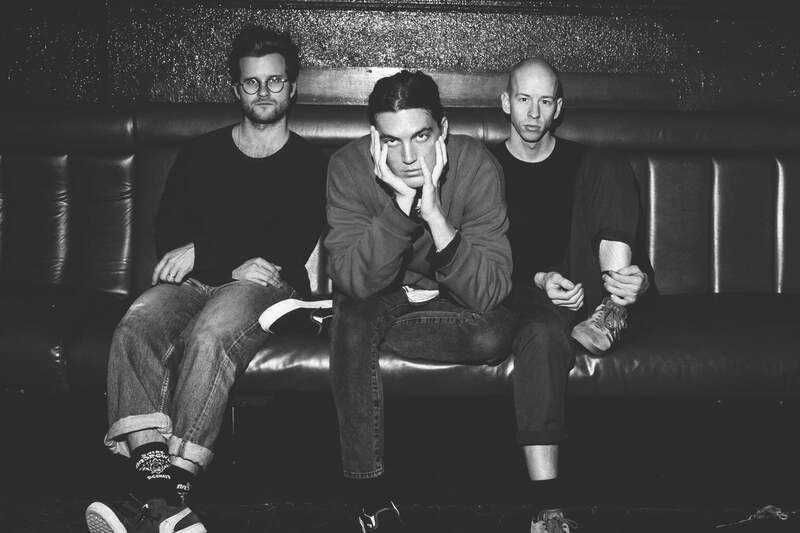 LANY spoke with Digital Trends ahead of their Governer’s Ball performance about revealing their faces to the world, how a cell phone and an app helped create their sound, and their goal to become this generation’s Coldplay. Digital Trends: I read that you guys got together out of shared admiration for each other’s work and put out two songs, ‘Hot Lights’ and ‘Walk Away’ in one four day span in April 2014. The songs were uploaded to a newly created Soundcloud page with no followers instead of to your individual SoundCloud pages. Why go the route of anonymity? Klein: I think we kind of didn’t care. We knew that we liked it and it was just fun. We just did it for fun. We put it online not really expecting any sort of reaction or anything. Goss: A good way to just see what the music does. Klein: We were actually super nervous to put out a band photo. It’s a lot of pressure. Goss: And we wanted the beginning to just be about the songs. How hard is it to keep that sort of mystique in this social media era? Klein: I actually don’t think mystique is appreciated. I think there’s a real hunger for the opposite of mystique. People want to know every little thing about you. So, I think we do a really good job of finding the balance between having private lives, and also feeding [our] fan base. Klein: Really, really high praise. Technology changes quickly. Are there any new recording techniques or tricks that have helped your music grow since you first got together? Priest: The things that make it the easiest to make music. So a little computer, a cell phone with an app, a drum machine here or a synthesizer. A phone and an app? Wow. What was the biggest song you guys recorded on those amateur recording instruments? Klein: Probably I Love You So Bad. We recorded that on Cubase. Goss: The phone was like most of the drums. An app on our phone. Klein: We used the Microkorg for all of the synth sounds. Then I sang into a microphone into a blanket. How long did you know this technology existed, and how experienced were you with that? Goss: I just got on my phone, and I was like, “Well, we can’t afford a studio, so I’ve got to find other ways.” Here’s a phone. I know there’s drum stuff on there. There’s some really good sounds on there, let’s use it. Klein: We still use it. You’re grown men, but LANY the group is four years old and a child of the streaming era. What do you think Spotify removing artists from playlists based on moral reasons, and the subsequent reactions to the decision says about Spotify’s and playlists’ impact on the music industry? Klein: Alright, real talk, we wouldn’t be able to be as big as we are right now without the internet. So, we appreciate streaming. There’s one guy who picks the top two playlists on Spotify. I’m not saying that’s problematic right now, but that could potentially, in the future, cause a problem. All that to say we don’t have a bone to pick. We just make songs. We make songs and we present them to Apple Music, Spotify. If they vibe, great. If they don’t, doesn’t matter, because we have a real fan base. Back in the day you’d be like, “Well, you either live or die by radio.” Now, it’s like you live or die by whether you get on [Spotify playlist] Today’s Top Hits, or whatever. But, if you’re great, and you have creative and artistic identity, it doesn’t matter. You just go play your shows. We played 135 shows last year. We grow this one person by one person. You know what I mean? One person comes to our shows and they tell their friends. You have to be undeniable in real life because people on Spotify could have like 20 million monthly listeners, and they can’t sell a ticket. Our mantra has been “butts in the seats.” That’s all that matters. You guys began cultivating that fanbase just using the internet, and you released your Acronyms EP by yourself. So, why sign with a label when you can do what you said matters the most without one? Klein: We can’t. There’s a stopping point. At least as far as us, we were like we’ve gone as far as we can. Now we need a little bit of help. I guess we could have hired an independent radio promoter, like we’ve already hired outside PR, but it just made sense at that time in 2015. Dude, things change every day. Priest: Also, for getting out of this country. We’ve gone to so many places. Klein: We’re a worldwide act. It’s not like we just play the U.S. Priest: We needed their muscle to keep up with how fast we were growing. Goss: Our goal is stadiums and arenas so we knew we needed that kind of muscle and [record labels] have the resources. How important do you think SoundCloud was to your rise? How has your relationship changed with SoundCloud now that you’ve got bigger? Klein: It was everything back then, but that’s the thing. The climate of music is changing so quick, so it’s not our responsibility if the company doesn’t want to adapt to the climate. I think now I don’t know how relevant SoundCloud is to the conversation now, but we knew how relevant it was in 2014. What is the creative process of a LANY song going from a thought to a finished song? Priest: It’s gone many ways. In the beginning, we used to just make a beat, feel it out, put some chords on it. Paul would write some lyrics, put that melody and lyrics down, and then we’d take just the bare bones of it and put tasties on it. Are you guys working on a new album? How far along are you with that? Klein: Probably 65 percent. Been working on it for four or five months. It’s a progression. It’s an elevation of who we are. It’s definitely not different than who we are, but it’s a better version of who we are. Which group’s career trajectory would you want LANY to ultimately have? Goss: With the uniqueness of Kanye [Laughs]. Goss: They’re in stadiums, and they’ve reached the world. They connect with the world. Klein: Some of their songs are undeniable. They’re playing places that nobody plays. They’re a global band. They’re the world’s band. I think they’re probably getting close to the end of their era, and I want to take over for them.